The construction and operation of the 4,150MW power plant along the Gujarat coast has destroyed the natural resources relied upon by generations of local families for fishing, farming, salt-panning and animal rearing. The IFC’s own accountability mechanism has sharply criticized IFC for its role in the project, finding failures at every stage. The communities turned to court as a last resort, marking the first time project-affected communities have taken legal action to hold an international financial institution like the IFC accountable for funding and enabling a harmful project. IFC has not denied causing harm – instead, it has responded by arguing it has complete immunity from suit and simply cannot be held accountable, regardless of how much harm it causes. We think that’s wrong. We share our clients’ belief that no institution should be above the law and we believe the law is on their side. On February 27, 2019 in a historic 7-1 decision, the U.S. Supreme Court decided that international organizations like the World Bank Group can be sued in U.S. courts. The Court’s decision marks a defining moment for the IFC and World Bank Group. For years, the IFC has operated as if it were “above the law,” at times pursuing reckless lending projects that inflicted serious human rights abuses on local communities, and then leaving the communities to fend for themselves. Now that the Supreme Court has established that the World Bank Group can be sued, the case will return to the lower courts for further litigation. Plaintiffs Budha Ismail Jam, Sidik Kasam Jam and Kashubhai Abhrambhai Manjalia are fishermen who reside at the fishing harbors (known as “bunders”) that are closest to the plant. Tragadi bunder is located directly next to the outfall channel, where enormous quantities of hot water used to cool the plant are discharged each day. 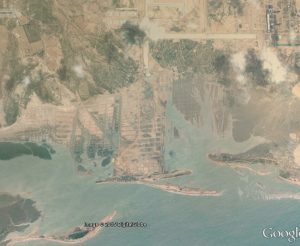 Kotadi bunder is located next to the intake channel and close to the coal conveyor belt that transports coal from the port to the Plant. Their livelihoods and their way of life are increasingly threatened by the depletion of fish stocks and other vital marine resources their community has depended on for generations. Plaintiff Ranubha Jadeja is a farmer from Navinal village whose wells have been ruined by the increasing salinity of the groundwater and farmland damaged by the ash and dust from the plant. Additionally, ERI also represents the fishermen’s organization, Machimar Adhikar Sangharsh Sangathan (Association for the Struggle for Fisherworkers’ Rights) (MASS) and the Navinal Panchayat (village), a local government entity. The named plaintiffs filed suit on their own behalf, and on behalf of other members of their community who are similarly situated in a potential class action. The IFC is the private lending arm of the World Bank Group and plays a major role in funding private-sector development projects in developing countries. Because it only invests in projects that could not otherwise attract sufficient private capital, the IFC has immense influence over how the projects are designed, constructed and operated. The IFC’s stated goals are to end poverty and boost shared prosperity and to carry out its development activities “with the intent to ‘do no harm’ to people and the environment.” To fulfill its institutional goals, the IFC has developed a Sustainability Framework, which dictates the conditions of IFC involvement in projects and the obligations of both the borrower and the IFC to ensure the project promotes positive development objectives while protecting local communities and the environment. For high risk projects like this one, IFC has additional requirements it must meet before committing to financing, such as ensuring there is “broad community support” for a project. These safeguards – along with a number of other environmental and social safeguards – were incorporated as binding conditions in the IFC’s loan agreement for the Tata Mundra project. From the outset, the IFC recognized the Tata Mundra project was a “high risk” project that would cause significant harm to surrounding communities, particularly if the project was not well-managed and the risks were inadequately mitigated. Despite this, the IFC provided a critical $450 million loan without taking steps to ensure sufficient safeguards were put in place to prevent the very harms it predicted. ERI works closely with MASS and the Centre for Financial Accountability in India. In April, IFC’s Board approved a $450 million loan for the Tata Mundra project. The loan is for twenty years, making it the longest tenure loan for IFC. The first disbursement of funds was made in December 2008, following IFC’s first “supervision visit” to the project. MASS filed a complaint with the IFC’s accountability mechanism – the Compliance Advisor Ombudsman (CAO) – raising a number of issues around the project and the IFC’s failure to meet its commitments and its failure to ensure the project complied with the social and environmental conditions of the loan agreement. Following its investigation, the CAO issued its Audit Report of the project, which harshly criticized the IFC’s role. Among other things, it found IFC’s due diligence process was inadequate and had failed to consider the risks and impacts on local fishing communities. IFC failed to ensure the project met the applicable environmental and social standards necessary for IFC-funded projects, failed to address compliance issues, and failed to adequately supervise the project, despite its authority to do so and despite predicting harmful consequences in the absence of proper mitigation measures. The IFC responded to the report by rejecting most of the CAO’s findings and ignoring others. In January, the CAO issued its first Monitoring Report examining the IFC’s response to the Audit. It found the IFC had failed to effectively respond to any of the CAO’s findings, failed to remedy the injuries to local communities, and remained out of compliance with its obligations. The CAO emphasized “the need for a rapid, participatory and expressly remedial approach to assessing and addressing project impacts.” Again, the IFC failed to take any action to remedy the injury. In April, ERI filed suit against IFC on behalf of the plaintiffs in federal court in Washington, D.C., where the IFC is headquartered. The complaint includes claims for negligence, nuisance, trespass, and breach of contract and seeks both damages and injunctive relief. The complaint describes how construction of the massive intake and outfall channels used to cool the plant contributed to saltwater intrusion into the groundwater, destroying vital sources of water in an area where freshwater is scarce. And by pumping an immense amount of hot water from the plant’s cooling system into the sea, the plant has substantially changed the local marine ecosystem, causing a drastic decline in the fish catch. 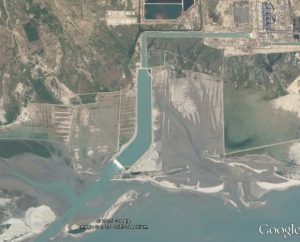 A nine-mile-long coal conveyor belt, which transports coal from the port to the Plant, runs right next to local villages and near fishing grounds. Coal dust from the conveyor and fly ash from the plant frequently contaminate drying fish, reducing their value, damage agricultural production, and cover homes and property. Some air pollutants, including particulate matter, are already present at levels dangerous to human health, in violation of Indian air quality standards and the conditions of IFC funding, and respiratory problems, especially among children and the elderly, are already on the rise. The plaintiffs argued that IFC should not be immune from this suit because a foreign government who engaged in the very same activity would not be immune. Foreign governments only enjoy “restrictive” immunity under the Foreign Sovereign Immunities Act (FSIA), and would not be immune from a suit like this one arising out of their “commercial activities.” Since the IOIA gives the IFC the “same” immunity as foreign states, the same exceptions to immunity should apply. The plaintiffs also argued that the IFC had waived immunity from suit in its own Articles of Agreement. Experts from Accountability Counsel, SOMO, and Crude Accountability, among others, filed declarations in support of ERI’s brief that highlighted the experience of other project-affected communities that had raised complaints about IFC projects through the CAO process. 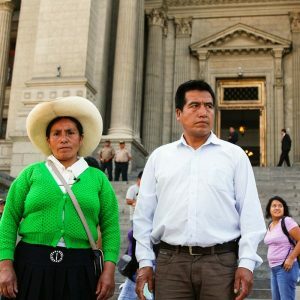 The declarations addressed the institutional limitations of the CAO and particularly its inability to compel the IFC to take any action in response to its findings, leaving communities, like the plaintiffs in this case, without meaningful remedies even when the CAO agrees with all their complaints. In March, District Court Judge John Bates ruled that the IFC could not be sued. He found that the IFC was entitled to absolute immunity from liability, and had not waived immunity. The judge did not engage in a legal analysis of the IFC’s immunity claims; instead, he concluded that his hands were tied based on previous decisions from the U.S. Court of Appeals for the D.C. Circuit. Although the plaintiffs had argued that subsequent Supreme Court decisions had overturned those D.C. Circuit decisions, the judge held that the issue should be heard and decided by the court of appeals. The plaintiffs appealed Judge Bates’s decision. The U.S. Court of Appeals for the District of Columbia Circuit heard oral arguments in the case in February. In June, a three-judge panel of the D.C. Circuit affirmed the decision finding IFC immune from suit. Although the panel recognized the “dismal” situation of the Plaintiffs, noting IFC did not deny that the plant had caused substantial damage, it nonetheless found IFC could not be sued based on the Circuit’s previous decisions. Judge Nina Pillard, however, wrote a separate opinion that criticized IFC immunity. Although agreeing that the court was bound by the earlier cases, she criticized those decisions as “wrongly decided” and wrote that the D.C. Circuit had taken “a wrong turn” when it “grant[ed] international organizations a static, absolute immunity” and in limiting the IFC’s own clear waiver of immunity. She added that those cases had left the law of international organization immunity “in a perplexing state,” and suggested the full court should revisit them. Additionally, the CAO issued its second monitoring report of IFC’s response in February, stating it was “concerned” that IFC had still not taken meaningful action. Meanwhile, Tata Power, the company that owns the Tata Mundra plant, began trying to unload a majority of its shares in the project for 1 rupee – less than 2 cents – because of the losses it has suffered and will suffer going forward. The project made no economic sense to begin with and the plant has operated at a substantial loss for its entire existence. The company’s original bid for the project was extremely low because it was based on an assumption of cheap coal that was completely unrealistic. Despite promises that the Project would result in cheap power for India’s poor, the company has repeatedly sought to pass its financial problems on to consumers and has sought (so far unsuccessfully) regulatory permission to increase prices. On August 2 the D.C. Circuit Court ordered the IFC to respond to a petition filed by Indian communities. In January, we filed a cert petition asking the U.S. Supreme Court to rectify the U.S. Court of Appeals for the District of Columbia Circuit’s erroneous holding that the IFC had “absolute immunity” and could not be sued. In May, the U.S. Supreme Court decided to hear this landmark case challenging World Bank group immunity. This will be the first time the Supreme Court will address the scope of international organizations’ immunity. 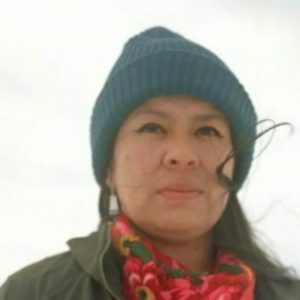 The case will be briefed in the summer of 2018 and argued in the fall, with a decision expected no later than June of 2019. On October 31, we argued our case before the Supreme Court. The transcript of the arguments can be found here or you can listen to the arguments. On February 27, in a historic 7-1 decision, the U.S. Supreme Court decided that international organizations like the World Bank Group can be sued in U.S. courts. The Jam case presents two important questions concerning the scope of international organizations’ immunity from suit. The first is the immunity from suit provided by U.S. law. The International Organizations Immunities Act (IOIA) provides that organizations like the IFC have only the “same immunity from suit. . . as is enjoyed” by foreign states. Several D.C. Circuit cases have held, however, that this means that organizations are entitled to absolute immunity, because immunity was absolute when the IOIA was enacted in 1945. Foreign governments now are entitled only to “restrictive” immunity under the Foreign Sovereign Immunities Act (FSIA), which contains a number of specific exceptions to immunity, including cases arising out of a foreign governments “commercial activities.” But the same immunity rules have not been applied to international organizations, and ERI is seeking to change that rule. The other issue is the scope of the IFC’s waiver of immunity from suit. IFC’s charter document – its Articles of Agreement – contains a provision broadly waiving immunity from suit and reserving immunity only from suits brought by member nations. But the D.C. Circuit has interpreted this to mean that immunity should only be waived where – in the court’s opinion – waiver would result in a “corresponding benefit” to the organization, such that the lawsuit “would further the organization’s goals.” ERI has argued that this lawsuit would further the IFC’s goals because the IFC needs communities’ trust, but also that the waiver should be interpreted broadly, in line with an earlier D.C. Circuit case that interpreted the IFC’s waiver literally. In a separate opinion issued with the D.C. Circuit’s decision, Judge Nina Pillard wrote that both lines of cases were “wrongly decided” and suggested the full court rehear the case. Plaintiffs have filed a petition seeking rehearing on both issues. Additionally, this case presents the question of when an international financial institution may be held liable for harms from a project that it finances.